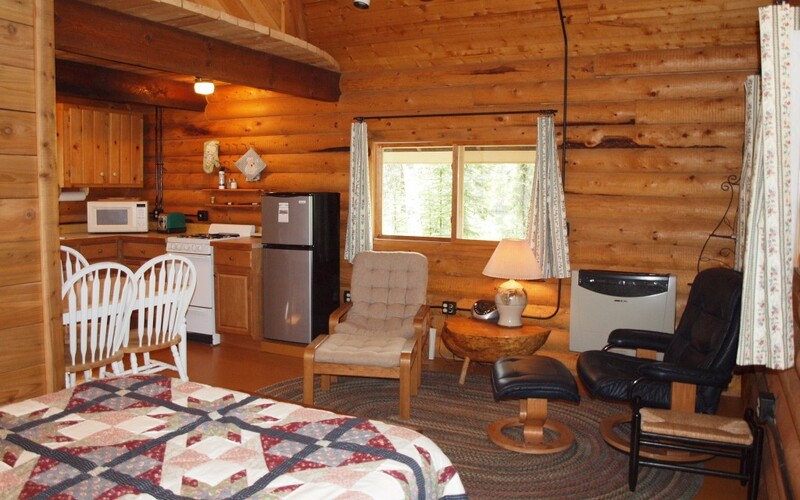 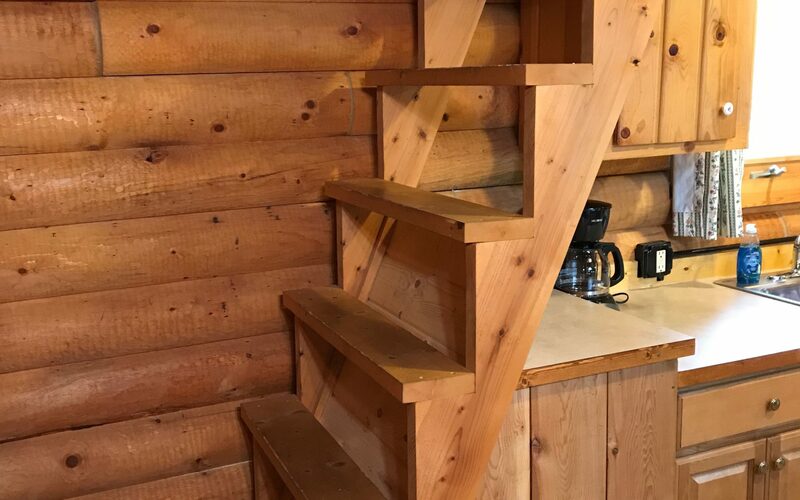 Beaver Point cabin is a 460 sf log cabin with full private bath, kitchen with refrigerator, electric range, microwave, coffee maker, toaster, pots/pans, dishes and utensils, dining table for 4, a queen bed on the main floor and a full bed with a ships’ stairway access to the loft. 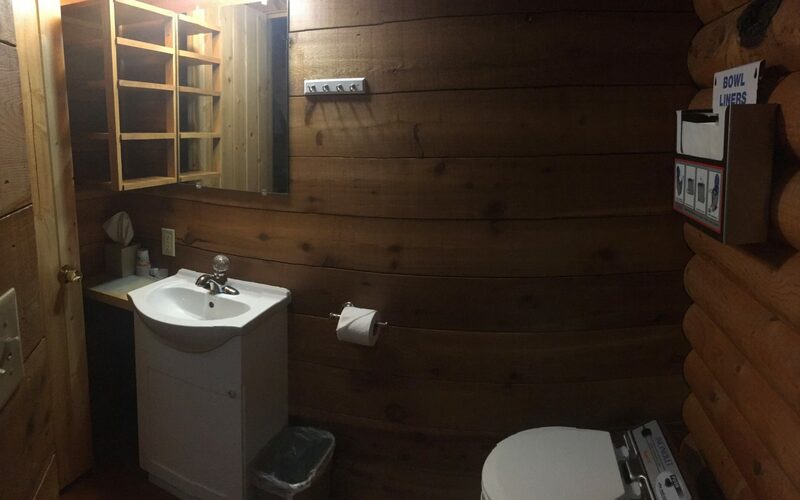 With the environmentally sensitive location to the lake shore this walk-in cabin, about 180 feet on a gravel path, has an electronic waste burning toilet. 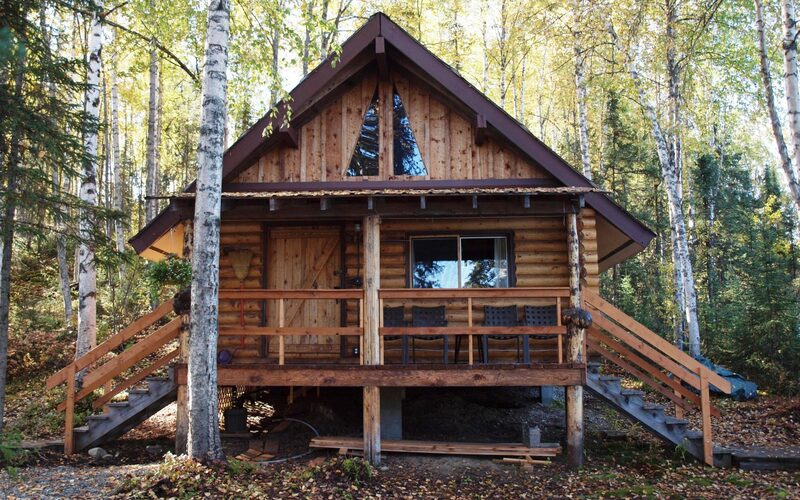 Attached covered porch, charcoal grill, outdoor camp fire ring with camp fire wood for sale on site. 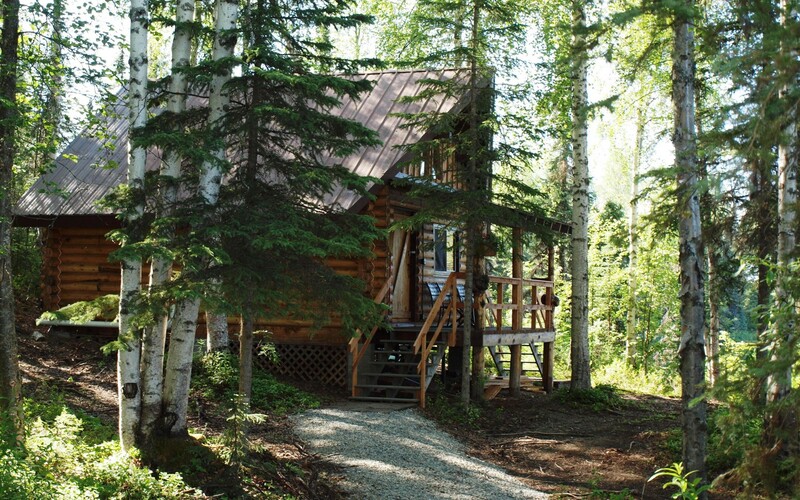 Lodging in Talkeetna, Ak does not get any better than this!